Mt Baldy Resort is the #1 Closest Mountain Resort in Southern California. Located only 20 miles outside of Los Angeles we offer the quickest Mountain getaway. Our mountain features 4 Chair Lifts providing access to more than 4000 acres of terrain to accommodate all skill levels. If you are new to the sport we offer Lesson Sessions that allow you to learn at your own pace in a variety of terrains to match your progression. 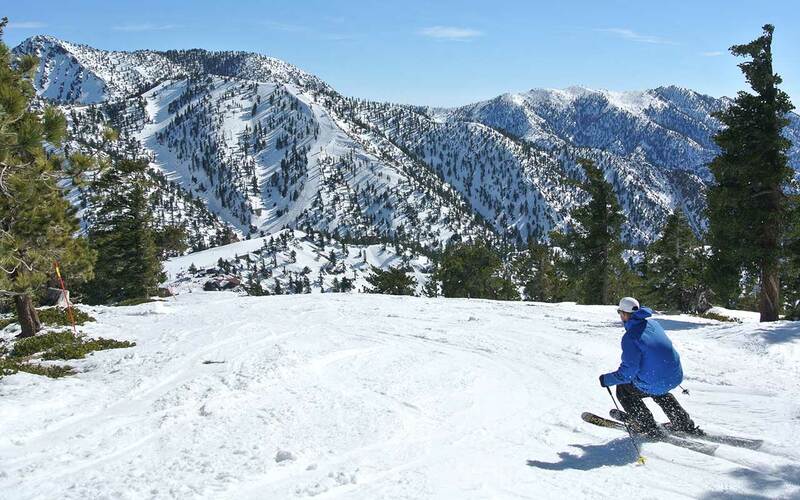 On Powder days Mt Baldy Resort offers the most natural terrain in Southern California. Those that know will tell you there is no better place to be on a powder day than Mt Baldy! You can redeem Mt. Baldy 1 Day Lift Ticket using your mobile device or a printed voucher. Bring your mobile device or a printout of this page and photo IDs to the pickup location on the order arrival date. Children do not need to bring photo IDs. You can pick up your lift tickets at Mt Baldy’s lift ticket window. Enjoy!